Pet food formulators looking for the ideal calcium carbonate for their next formulation should look no further…Huber Engineered Materials has it! HuberCal® Pure and Natural Calcium Carbonate. 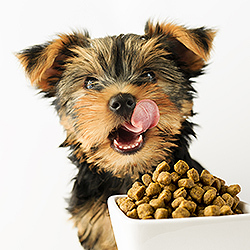 Recognized for years as the calcium carbonate leader in the food, nutrition and pharmaceutical industries, Huber is pleased to offer HuberCal to the pet food industry. We invite you to learn more now by clicking here and visiting the pet food page on our website.